Happy hump day! This week is flying by in my opinion and today we are FINALLY headed to the pumpkin patch/apple orchard (and will be getting Miss A's obligatory pumpkin pic if it kills me!) I'm so excited to be heading up to the mountains with hubs and the weather today is gorgeous! Stay tuned for pictures. Now, on to what's hap-pinning. I LOVE that the temps are dropping finally so that my wardrobe can be expanded. I'm always all about neutrals this time of year and I'm obsessed with beiges in the sweater department. I've been pinning simple Fall looks like crazy and then looking for all the pieces to make them complete in my own closet. Gap, Old Navy and Ebay are my go-to's! Below are some of my current favs. 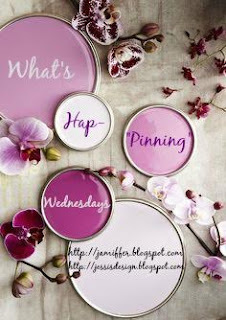 If you've never joined in before, grab the button below and join in here or with my lovely partner Jenn for today's edition of What's Hap-"Pinning" Wednesday and let us know what you're digging or what you've been up to! Ok and I have to admit, nap time during the day for us means binge watching Gossip Girl (how did I never watch this addictive show?) - and can we all agree that Serena and Blair's style is seriously still on point all these years later?? I drool over their clothes and would give anything for access to those closets! Here are some of my favs for inspiration today. Anyone want in on a NYC girls trip? Anyone? Please! Love your pins, so fall and so fun! AND YES! I'm in for GG trip to NYC! <3 you! Love all the neutrals too!! And yes their style is timeless! Blair… I swoon over her! So jealous you guys are headed to the mountains, what a perfect time of year for it! Loving all of these looks, girl! I've definitely been pulling out more and more Fall clothes as the temps are dropping, especially in the mornings! 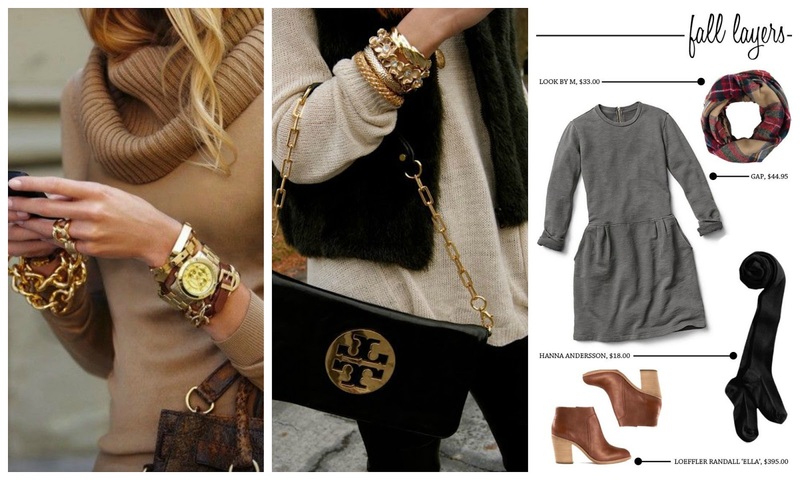 The neutral colors are on point! LOVE all those looks! Have so much fun in the mountains!! Can't wait to see pictures - it'll be beautiful! That was my favorite part of that show too - their clothes!!! I love the fall layers you picked. So pretty. Um, yes please to a girl's trip to NYC! :) The wardrobe on GG never disappointed - it's the best part of the show, in my opinion. I hope you have so much fun at the pumpkin patch today, and loving all your fall outfit inspiration! 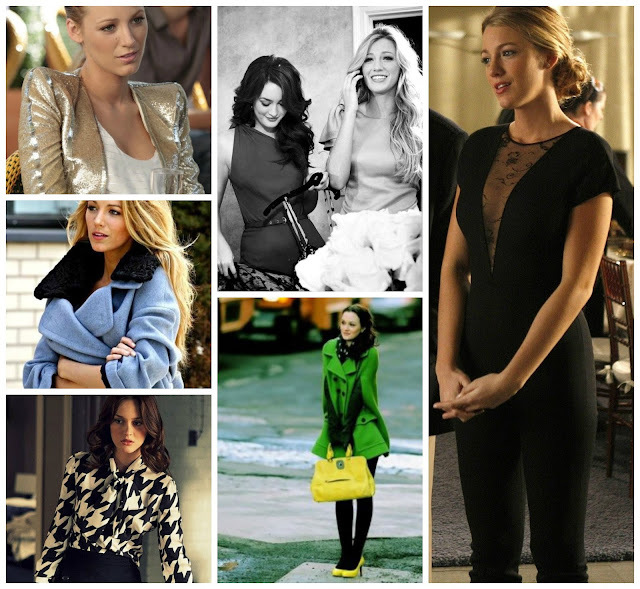 While I have never watched Gossip Girl, I do think they had the best wardrobe on tv. Love love Blake Lively.Hope you have fun at the pumpkin patch with Miss Andi. um, yes to everything they wore on gossip girl. they always looked so flawless! i stopped watching it after a few seasons but i can always look at their pretty outfits! the bottom left - the houndstooth blouse.. swoon! 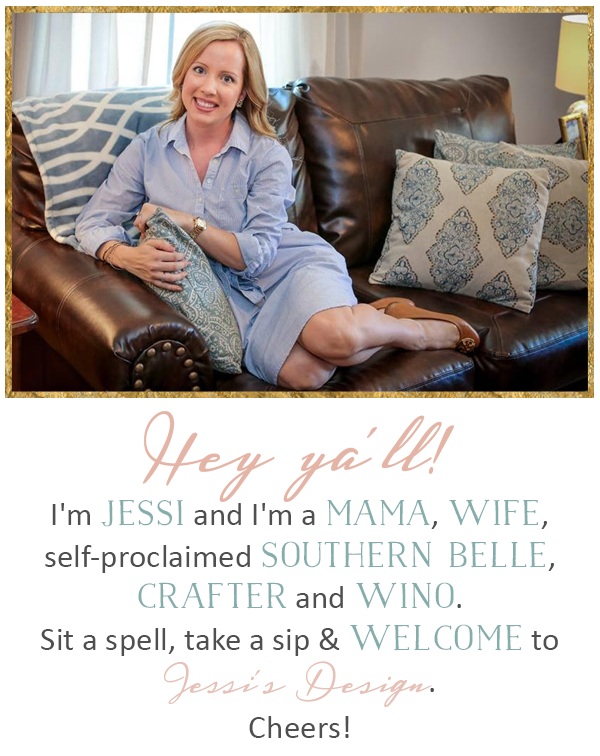 Ahhh Jessi! I am doing the same with Gossip Girl! I'm in season 4 now and have been binge watching it, wondering how I never watched it before. As petty as the drama is, I love the characters and yes, I wish I had their style! My hubby walked by and said "they're supposed to be in high school?!" which led me on a journey to see how old Blake Lively was during filming one of the seasons. Have fun at the pumpkin patch! Ok, so I've never seen Gossip Girl, but I SO need to!! It's definitely on my list once we get through Parenthood! And yes, I'm totally down for a trip to NYC... it's one of my favorite places!! Love Love Love all things Gossip Girl! Their fashion was trendy but at the same time so classic. I was late to the Gossip Girl thing too. I binged watched it about a year ago. All 6 seasons. So good. And I love Serena's and Blair's style. Great show! Those sweaters are love! 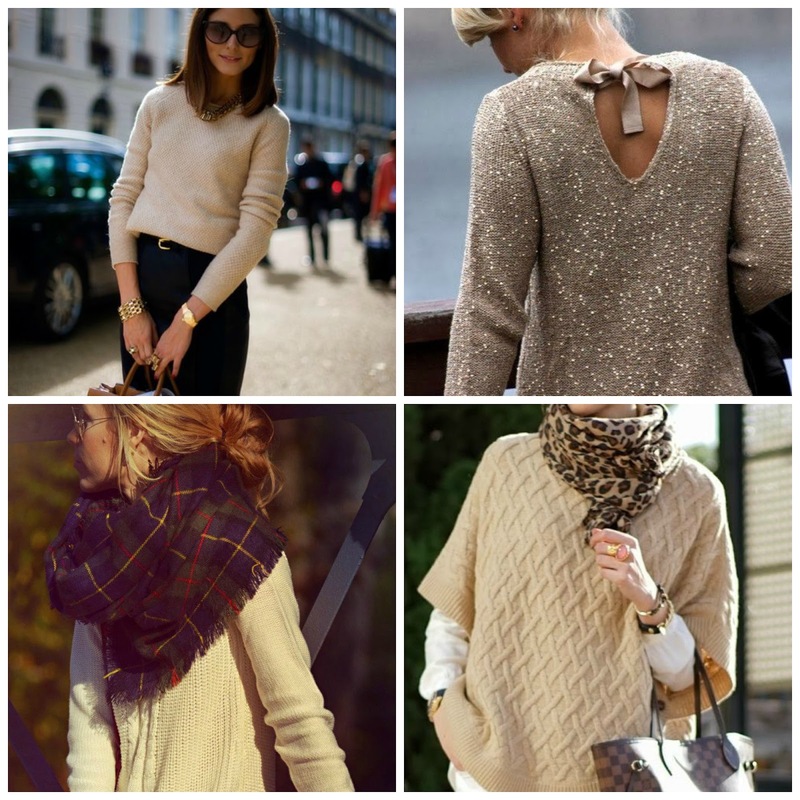 A good beige sweater is love!